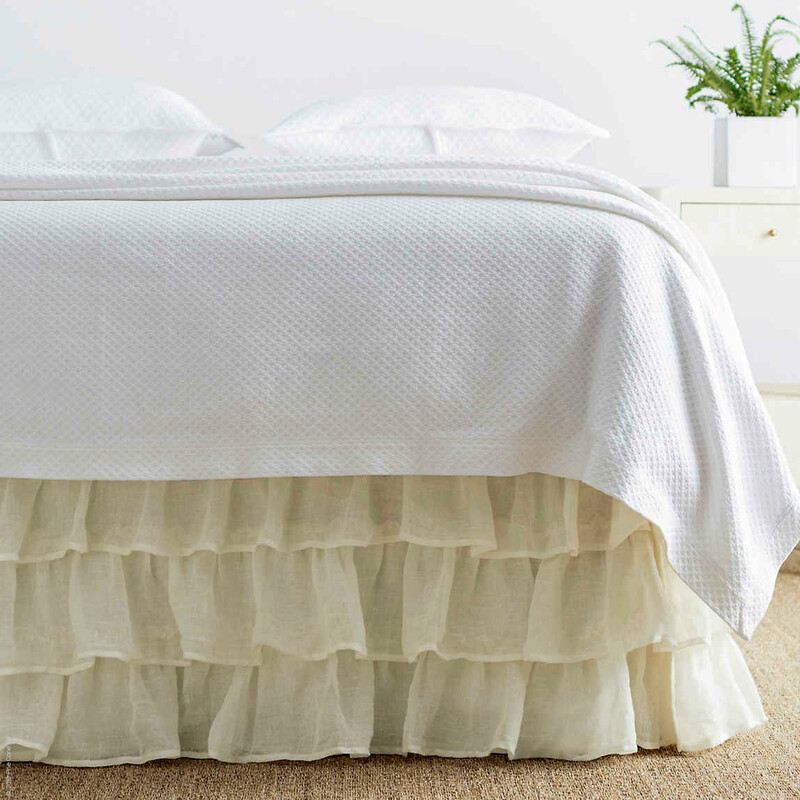 Float away on a cloud with Pine Cone Hill's Savannah Linen Gauze Tier Ruffle light-as-air loosely woven linen bedskirt. A subtle translucence is detected and is compounded by the layers of tiered ruffles - for an extra touch of fabulous feminine. 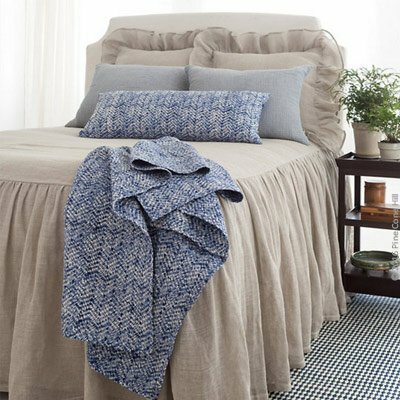 Lined in matching cotton. 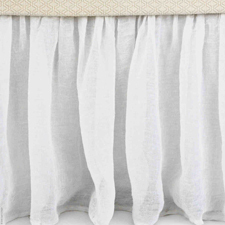 Float away on a cloud with Pine Cone Hill's Savannah Linen Gauze Tier Ruffle light-as-air loosely woven linen bedskirt. A subtle translucence is detected and is compounded by the layers of tiered ruffles - for an extra touch of fabulous feminine. Lined in matching cotton. 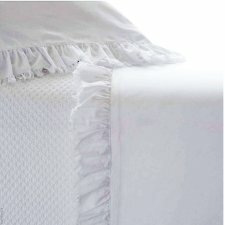 100% Linen gauze / 100% Cotton Lining 3-panel construction Tiered horizontal ruffles 18" drop with 4" header - can adjust to 22" drop Pins included Machine wash cold. Tumble dry low. Do not bleach. Warm iron if needed. 2 panels 75 in. long, 1 end panel 39 in. 2 panels 80 in. long, 1 end panel 60 in. 2 panels 80 in. long, 1 end panel 78 in.